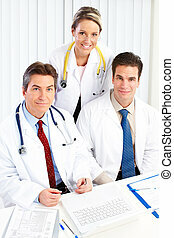 Medical doctors. 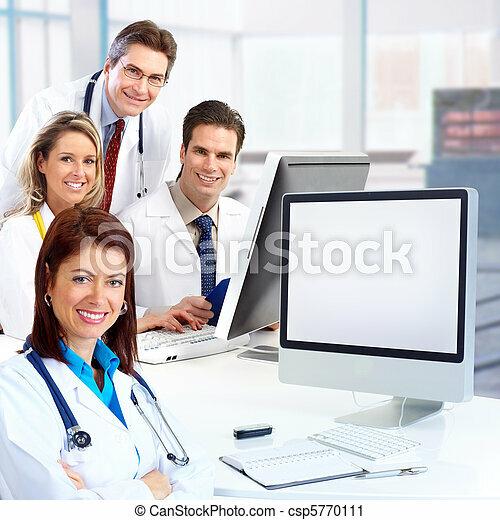 Smiling medical doctors with stethoscopes working with computer. 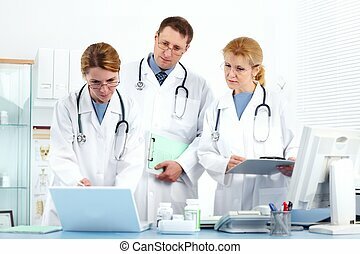 Smiling medical doctors with stethoscopes working with computer. 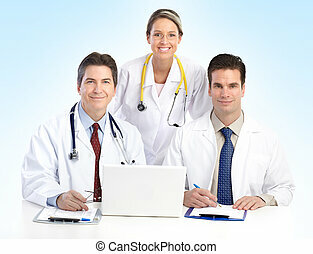 Medical doctors group. 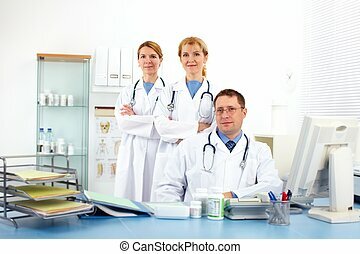 Isolated on white background. 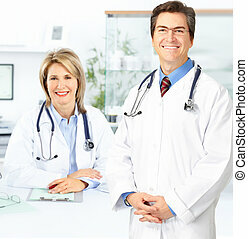 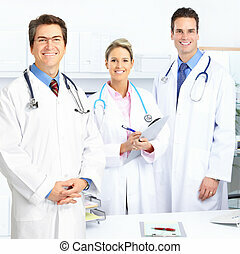 Smiling medical doctors with stethoscopes. 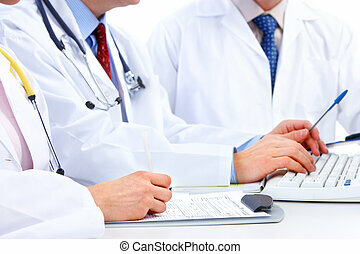 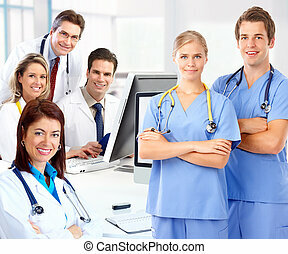 Smiling medical doctors with stethoscopes and computer. 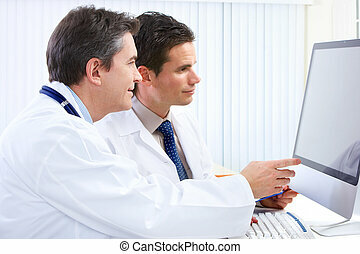 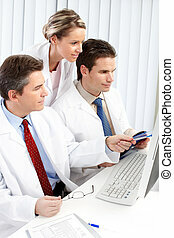 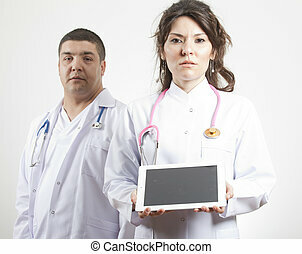 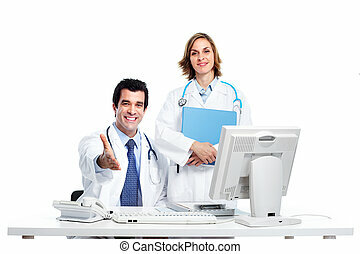 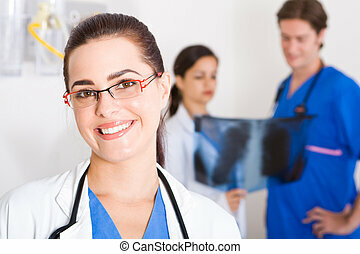 Smiling medical doctors working with a computer. 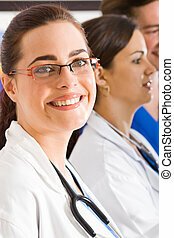 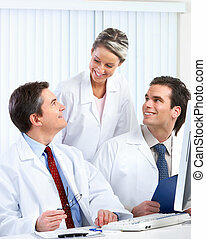 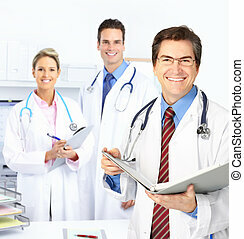 Smiling medical doctors group. 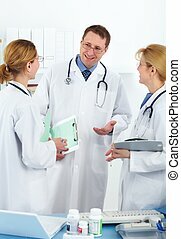 Health care. 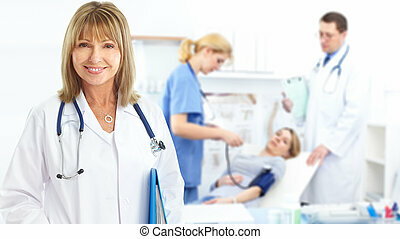 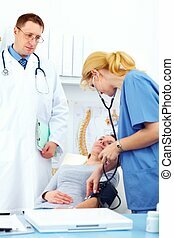 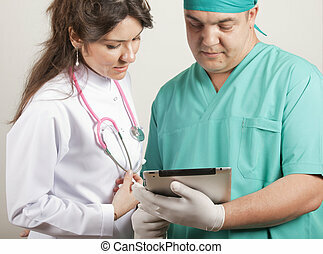 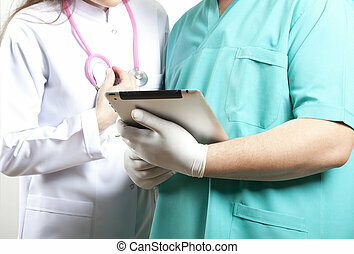 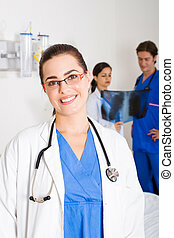 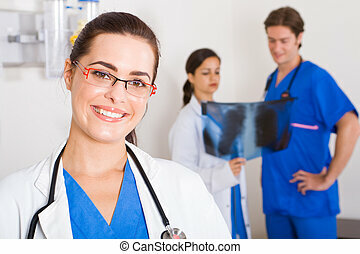 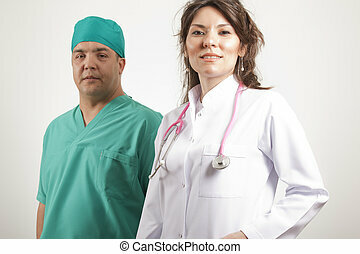 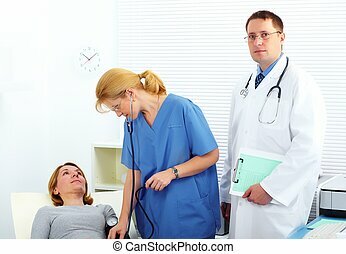 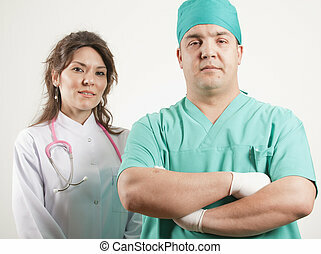 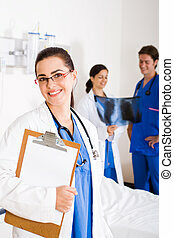 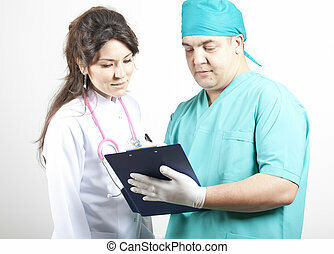 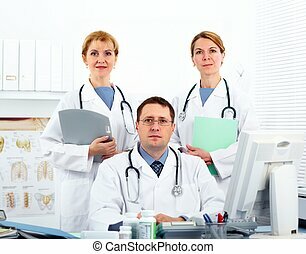 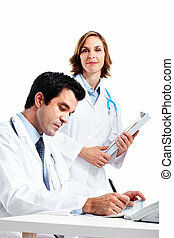 Medical doctors and young woman patient. 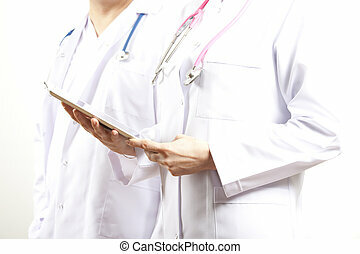 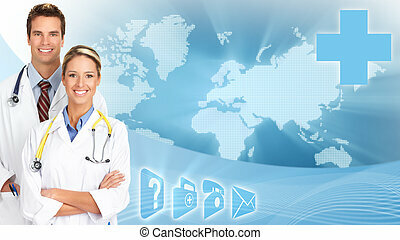 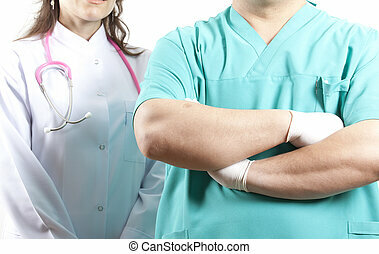 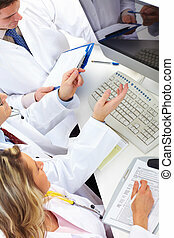 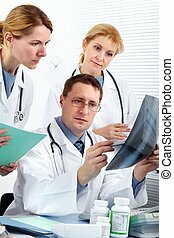 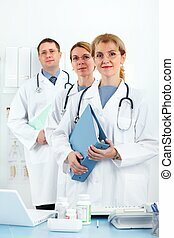 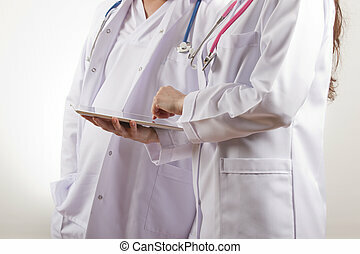 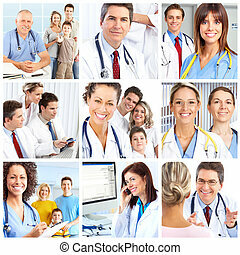 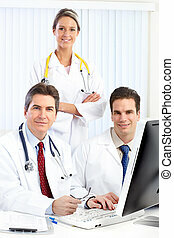 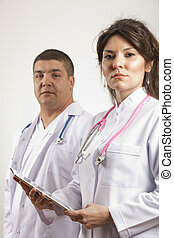 Medical doctors over scientific global blue background. 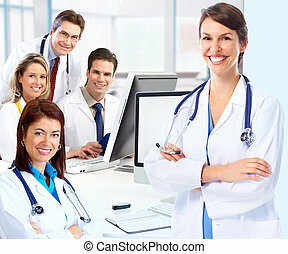 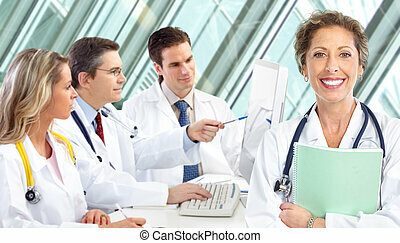 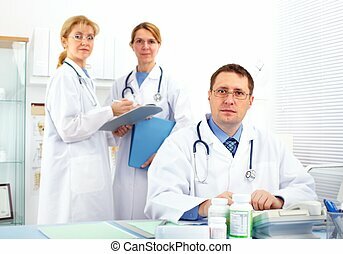 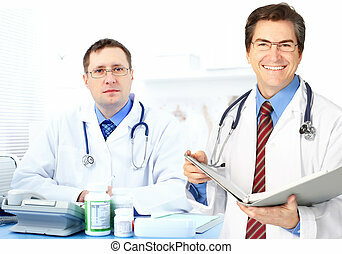 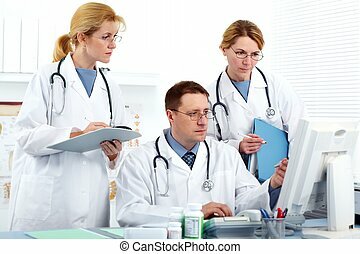 Group of Medical doctors in health care clinic.